Little, Brown and Company, 9780316434959, 288pp. Early one morning in the remote hill country of Texas, a panther savagely attacks a family of homesteaders, mauling a young girl named Samantha and killing her mother, whose final act is to save her daughter's life. Samantha and her half brother, Benjamin, survive, but she is left traumatized, her face horribly scarred. Narrated in Benjamin's beguilingly plainspoken voice, The Which Way Tree is the story of Samantha's unshakeable resolve to stalk and kill the infamous panther, rumored across the Rio Grande to be a demon, and avenge her mother's death. In their quest she and Benjamin, now orphaned, enlist a charismatic Tejano outlaw and a haunted, compassionate preacher with an aging but relentless tracking dog. As the members of this unlikely posse hunt the panther, they are in turn pursued by a hapless but sadistic Confederate soldier with troubled family ties to the preacher and a score to settle. 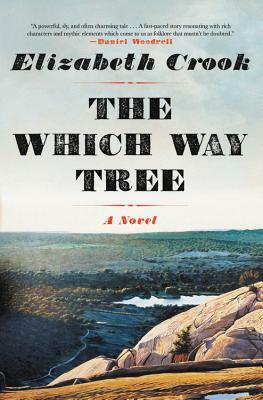 In the tradition of the great pursuit narratives, The Which Way Tree is a breathtaking saga of one steadfast girl's revenge against an implacable and unknowable beast. Yet with the comedic undertones of Benjamin's storytelling, it is also a timeless tale full of warmth and humor, and a testament to the enduring love that carries a sister and brother through a perilous adventure with all the dimensions of a legend. a character who knocked my socks off from her first appearance on the page.